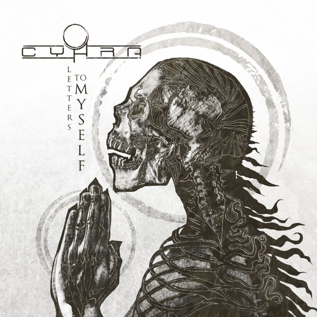 Cyhra, a new band featuring Jake E., Jesper Strömblad, Peter Iwers, Alex Landenburg and Euge Valovirta have released their critically acclaimed debut album, ‘Letters To Myself’. Euge Valovirta, the soaring, soulful splendour of Jake E.’s unmistakable voice to the pummelling, groove-driven precision of Peter Iwers’ and Alex Landenburg’s rhythmic bedrock, every last moment crackles with the excitement of fresh territory, new challenges, and a brand new identity for all involved to embrace. The album was recorded & produced at various studios around the world, but mainly in Top Floor Studios in Gothenburg, Sweden by Jakob Herrmann (Amaranthe, Anthrax, etc.) and at Hansen Studios in Ribe, Denmark by Jacob Hansen(Amaranthe, Volbeat, etc. ), who also mixed & mastered the album. Formed in 2016 by long-time friends Jake E. and Jesper Strömblad, Cyhra has already lit a fire under the contemporary metal scene that promises to blaze for decades to come. Cyhra plan to tour globally in support of their Spinefarm debut, with their first show scheduled for October 27th 2017 at Nosturi in Helsinki, Finland. Punk legends CHELSEA have announced the first set of dates on their ’Mission Impossible‘ tour, starting at the Undercover Festival in Margate on April 14, 2018. The bands long awaited and highly anticipated new album ’Mission Impossible‘ was released on Westworld Recordings in October 2017. In addition, IN FLAMES have announced the first raft of names for their own annual festival, BORGHOLM BRINNER, that is due to take place on the isle of Öland in Sweden on August 2nd and 3rd, 2019. Prog masters OPETH as well as melodeath pioneers AT THE GATES and California's OF MICE AND MEN have confirmed their appearance at the two day festival. IN FLAMES will headline both nights. INGESTED, DEAD WITCHES, CYPERCORE, FORGOTTEN REMAINS and more join already announced headliners DECAPITATED, BLEED FROM WITHIN, UNFATHOMABLE RUINATION, CYTOTOXIN and more, making up another utterly devastating line up for the festival. DECAPITATED headline MAMMOTHFEST 2018 and are now joined by an arsenal of stunning other live bands! World Wide Slam Kings INGESTED are firm favourites in Brighton obliterating their crowds to bits every time while holding the throats of all sceptics, proving time and time again they lead the way in British extreme metal, getting stronger and more devastating with every offering. Focused brutality at its best, their fourth chapter, THE LEVEL ABOVE HUMAN available via Unique Leader records sees the band tour the world extensively and so it was only right we got them back as main support to DECAPITATED on Saturday 6th October 2018. SKINDRED Announce UK Tour 2018 With CKY! MOONSPELL Stream New Album '1755' In Full! ELUVEITIE Announce New Single 'Rebirth'! CAVALERA CONSPIRACY UNLEASH 'INSANE' LYRIC VIDEO! Klogr New Album 'Keystone' Is Out Now!